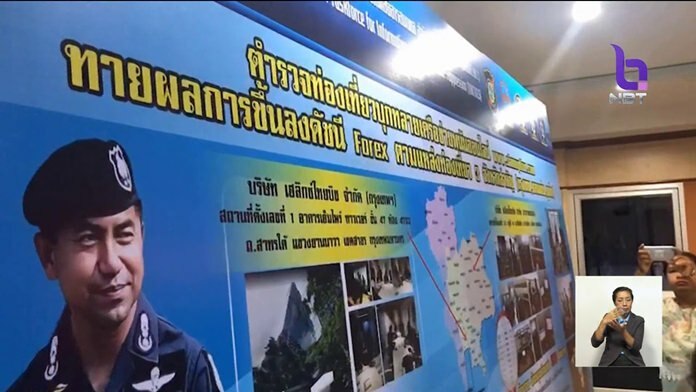 Bangkok – Tourist police and soldiers have arrested eight people in several provinces in connection with a 20 million-baht binary options scams. According to the police, victims were tricked into believing that they were putting their money into an online investment when the suspects were in fact using their money to gamble on binary options. Police raided one home in Bangkok, two in Khon Kaen and six in Phuket, which the scammers used as their hiding places. As many as 1.5 million online accounts with more than 20 million baht in circulation were found during the raid. Police have frozen the scammers’ bank accounts and charged them with illegal gambling and scamming innocent people.